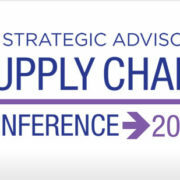 BG Strategic Advisors is pleased to announce and congratulate Sean Devine of XBE LLC, the winner of The BGSA 2019 Supply Chain “Shark Tank,” at the BG Strategic Advisors Supply Chain Conference 2019, which was held at The Breakers in Palm Beach from January 23-25, 2019. The Supply Chain “Shark Tank” finalists were judged by “Sharks” Herb Shear (former CEO, GENCO), Rob Howard (former CEO, Grand Junction, now a division of Target), and Jack Holmes (former President, UPS Freight). XBE LLC is a provider of technology-based construction logistics solutions. XBE built its platform from the ground up based on 20 years of experience, and it continues to aggressively expand the breadth and depth of its capabilities. XBE is headquartered in Chicago, IL and operates branches in the Chicago, Kansas City, and Charlotte markets with plans to expand nationwide. For more information, visit www.x-b-e.com. 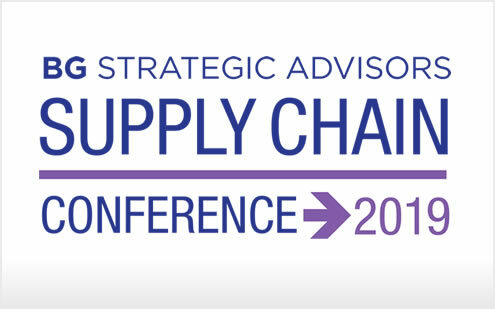 The BGSA Supply Chain conference is a one-of-a-kind, invitation-only event designed to bring together top industry leaders from all segments of the supply chain, and provides an intimate and candid setting where CEOs and leaders can privately network and explore ideas and opportunities with their peers. BG Strategic Advisors (“BGSA”) is the leading M&A advisory firm focused on the logistics and supply chain industry. BGSA specializes in providing supply chain CEOs with the tools to maximize their companies’ value. In addition to M&A advisory services, BGSA provides its clients with a broad range of investment banking capabilities, including equity capital, debt capital, board advisory, restructuring, and other capital markets services. For more information, visit www.BGSA.com or call Ben at (561) 932-1601. BGSA provides investment banking services through BG Strategic Advisors LLC, a registered broker-dealer and member of FINRA and the SIPC.